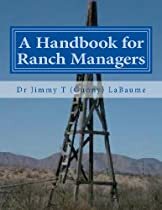 The “Managing the Ranch as a Business” School | Land & Livestock International, Inc. The Live Seminar-Workshop format and a Distance Learning program. Plan the rest period in order to provide adequate root energy recovery. Apply stock density so that it increases utilization and improves manure distribution. Use animal impact to improve rejuvenation, the water cycle, organic matter decomposition and manage the top 2 centimeters of the soil. Reduce run off and evaporation and increase water holding capacity of the soil. Manage the stage of growth for optimal harvesting of sunlight energy. Gain an understanding of the importance of nutrient recycling through the animals and into the soil. Develop management strategies to encourage soil organic life and increase the populations of soil microbes. Calculate stocking rate in Animal Days per Acre ( ADA ) by using estimated or actual data. Use forage species selection to match the environment. Develop efficient and economical pasture cell designs. 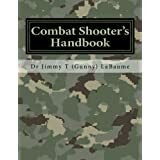 Plan around your personal restraints and accommodate personal issues. Understand herd requirements and plan around them. Deal with physical land restraints and issues. Manage riparian areas for sustainability and environmental health. Understand water systems and their limitations. Protect water sources in order to maintaining herd and environmental health. Plan for rotational animal movement to lower both animal and manager stress. Incorporate existing fence into your infrastructure plan, if possible. Plan your finances to maximize profits and get debt free. Click here to read more about the Live Seminar-Workshop Format. Give us a call or shoot us an email for updates on the location and times for upcoming seminars and workshops.